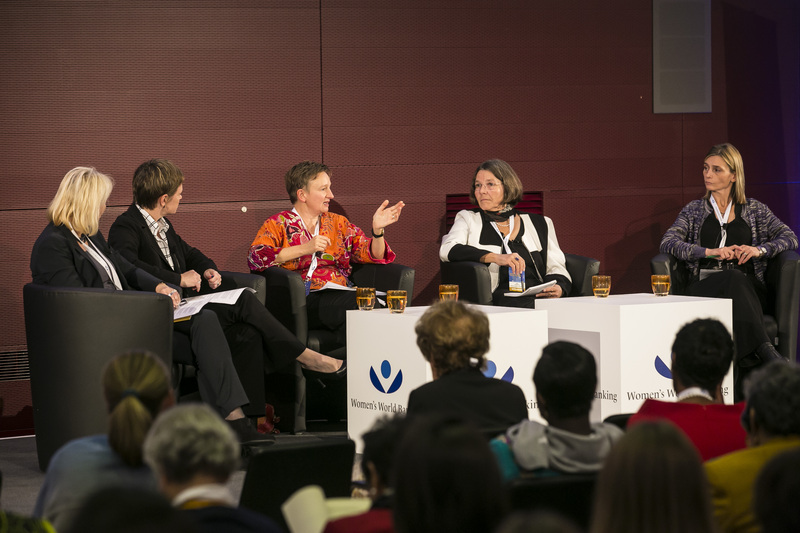 The Women’s World Banking Making Finance Work for Women Summit, held in Berlin this past November, addressed financial inclusion for women from multiple angles. One thought-provoking discussion considered the role of impact investors in the creation and growth of women-led enterprises. 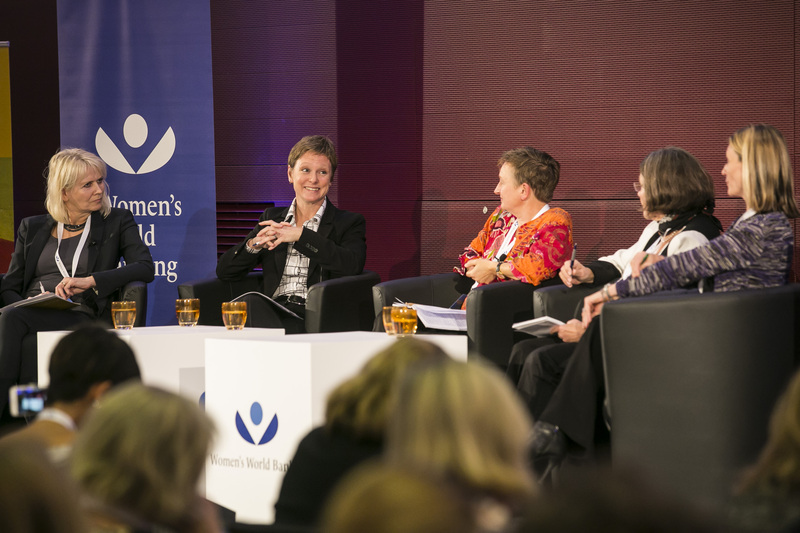 CJ Juhasz of Women’s World Banking Asset Management moderated a panel comprising experts from various institutions in the impact sector: Ritva Laukkanen of Finnfund, Ise Bosch of Dreilinden, Eva Terberger of KfW Development Bank and Susan Markham of USAID. The conversation focused on one key question: why has the impact investment community not paid more attention to women-centered investment opportunities? Both KfW and Finnfund highlighted supply-side constraints that limit investors’ women-focused options. From the perspective of KfW, the pool of high-performing, high-quality gender diverse organizations is simply not large enough, due to a number of factors beyond the scope of impact investors, such as cultural norms and an education gap for women in some countries. Finnfund pointed to larger barriers that still exist in women’s economic empowerment as the main reason for the lack of women-focused investment. For instance, ensuring universal access to identification documents could improve low-income women’s economic opportunity and help generate a pool of potential women-led investments. The panel agreed that such systematic constraints must first be addressed in order to develop robust women-led enterprises in more markets. This will be achieved through partnerships between a variety of stakeholders, not by private investors who seek risk-weighted returns. Governments in particular have an important role to play in tackling legal, educational, and cultural barriers to women’s inclusion. USAID, although not a direct investor, has found data to be an important tool in facilitating change alongside first movers such as governments and public institutions. It is important to objectively demonstrate the value of women’s economic participation in order to promote effective policy changes. However, it can often be challenging to maintain government commitment to the long-term projects and goals required to effect a structural shift in opportunities. The panelists also noted that the rationale for women-focused investments should be based on the successful business case, rather than just the social benefits – just as impact investing has evolved to approach the microfinance industry today. KfW believes that framing a focus on women as a social issue will undermine the added value provided by these investments. On the other hand, Dreilinden’s private investors often want to see the social impact first to establish an emotional connection with their investments. However, the company has observed that a gender focus may be too specific for some investors, and thus must be couched alongside a number of other social issues within the general impact investing context. Women’s World Banking Capital Partners (WWBCP) is a private equity fund committed to applying a “gender lens” approach to impact. It is unique in the impact investment sector in its mission to prove the business case for investing in women-focused financial institutions. Given the substantial body of research (e.g., Credit Suisse’s Gender 3000 report) demonstrating the financial benefits for companies with a higher participation of women in senior management and board positions, WWBCP believes impact investors will increasingly gravitate toward women-centered investments. To hear more on women-focused impact investing, check out the full session video here.